A New York body shop and Mercedes dealership have agreed to settle a second pair of dueling lawsuits tied to 2017 allegations the dealership demanded additional payments in exchange for the shop keeping its OEM certification sponsorship. The new litigation by North State Custom and Celebrity Auto of Westchester (which does business as Mercedes-Benz of Goldens Bridge) arose in April, following the March settlement of the initial 2017 complaint and counterclaim over the sponsorship allegations. North State Customer had alleged Celebrity Auto demanded a 25 percent payment on labor and to make 100 percent on parts sold to the New York body shop as a condition of sponsorship; Celebrity Auto had countersued for defamation. The original case and an April news release by Celebrity Auto portraying the concept of additional dealership payments as common and legal raised questions about the luxury OEM practice of requiring dealership sponsorship as a condition of independent collision repairer certification. The new case simply surrounds comments made after the April settlement, which directed both parties to say nothing except “the Parties have resolved their differences without the exchange of money and are satisfied with the resolution,” according to a redacted copy filed as an exhibit with the Westchester County, N.Y., Supreme Court. Both made public comments. North State Custom owner Greg Coccaro Jr. confirmed to Repairer Driven News the restoration of his certification, while Celebrity Auto issued a press release calling itself “Vindicated” by the settlement and characterizing Coccaro as having made “egregious allegations” in 2017 and having “retracted” his lawsuit. Celebrity Auto countersued for breach of contract, declaring Coccaro’s recertification comments disclosed a material part of the settlement and meant “Celebrity and (owner Tom Maoli) have suffered and continue to suffer irreparable harm and damages of a sum believed to be not less than $5 million.” It sought unspecified amounts of damages on five other causes of action. On Tuesday, the two parties stipulated they would settle “without costs to either party as against the other” and dismiss both actions with prejudice. 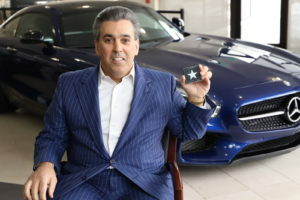 “In what might be the last chapter in the parties’ continuing saga, CELEBRITY AUTO OF WESTCHESTER, LLC d/b/a Mercedes-Benz of Goldens Bridge and NORTH STATE AUTOBAHN INC. d/b/a North State Custom have announced that they have settled their second lawsuit against each other,” the release states. “It all started in 2017, when North State Custom initiated a lawsuit against Mercedes-Benz of Goldens Bridge, claiming that Mercedes-Benz of Goldens Bridge was engaged in certain unlawful business activities. Mercedes-Benz of Goldens Bridge filed a counterclaim, contending that the allegations were false.